The Spring Art Show will display work by students representing the three major disciplines of the Department of Visual Arts: art, photography, and graphic design. 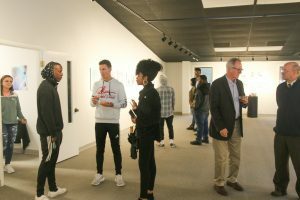 The work of senior visual arts majors Matthew Hollingsworth and James Parent will be featuredin the Teresa Pelt Grubbs Gallery. The show will continue until mid-May.